Unlike traditional materials, Leadax is not a heavy metal. The first lead alternative in the world that has the same properties as traditional lead, Leadax will not damage the environment or the health of the user. This innovative product offers a new generation of alternatives to lead that are simple to use as well as being significantly more cost effective in the long run. 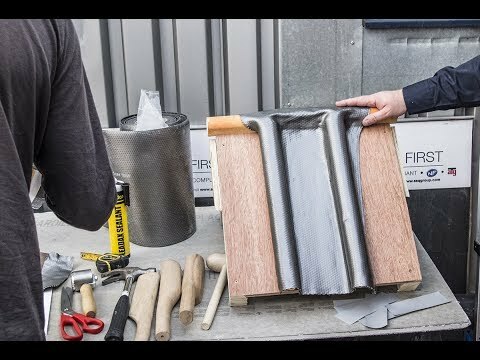 Regardless of whether you are looking to use it for chimneys, cavity walls or something else entirely, this product can be processed and utilised in exactly the same way as lead would be. A 150mm lead alternative roll is available right here at JJ Roofing along with larger sizes – please check the dropdown menu on the right for a full list. Each and every Cromar Leadax 150mm lead alternative is rigorously field tested before being made available for purchase. You can rest assured knowing that comprehensive UV ageing tests have been undertaken prior to release and this product is guaranteed to be water resistant for at least 20 years. On top of the proven improvement in quality, the Cromar Leadax 150mm lead alternative is also cheaper to buy than the traditional option. Besides the significantly upgraded performance, you will find Leadax much easier to install keeping the costs of setting up your new system much lower than they would otherwise have been. Founded in 1997, Cromar Building Products have become a true market leader when it comes to offering high quality roofing essentials. From this Leadax 150mm lead alternative to all-weather coating solutions to PROGRP kits, Cromar Building Products is guaranteed to have the essentials you need for your project. You can buy Cromar Building Products at JJ Roofing with confidence because they are CE-marked which means that they are fully compliant with the European standards set for this category. All products that have received this marking have been independently tested by a regulating body. JJ Roofing has a fantastic range of Cromar Building Products available on top of the Leadax 150mm lead alternative. 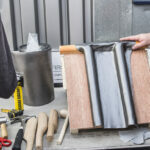 Few suppliers can offer as comprehensive a selection of specialist roofing products – we are sure you will find everything you need right here.